Answer: If you have it set flat on the ground, with “noon” aligned to the local north-south line, then it’s probably working the best it can. Typical “garden variety” sundials are not that accurately made, but they should be correct to within the nearest 15 minutes, plus or minus. The main problem is caused by the equation of time. 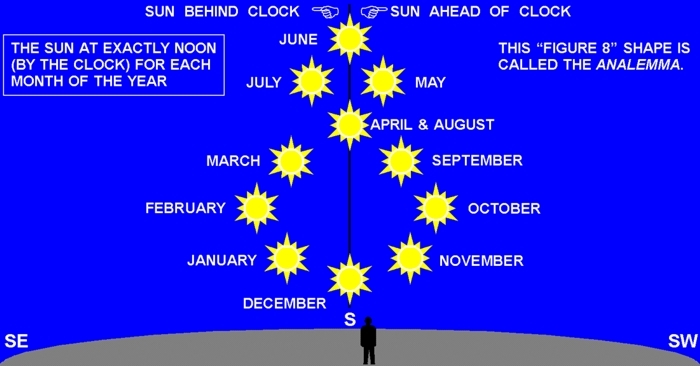 If you look for the Sun at clock noon on any day, you’ll see it towards the south. But it will rarely be exactly south due to variations in the speed of Earth’s motion around the Sun. As a result, sun time (what a sundial measures) and clock time (which is what you want to know) seldom agree. They do agree on only four days each year: Apr 14, Jun 20, Aug 30, Dec 20. When they don’t agree, they can be off by as much as ±15 minutes. And then there’s the problem of time zone width. The clock time in your time zone is based on the center of that zone, so if you are east or west of that center, further error will accrue. If you get a high-quality sundial, it will be able to adjust for all these variations. It will need to be tilted at an angle equal to your latitude, so you can’t just set it on the ground — it must be precisely mounted. It must also have a more complex scale inscribed, compared to the typical Roman numerals in a circle. This scale compensates for the date of the year, and hence the equation of time. Takes a few minutes to learn how to read it, but it’ll be as accurate as your clock. One more thing: sundials don’t do daylight saving time, so that arithmetic’s up to you.